With highway fatalities spiking, officials are seeking the reason. Why are they seeking it? It is because fatalities and injuries were trending down for more than half a century and suddenly they have spiked up. Is this a trend or is it just a short-lived phenomenon? 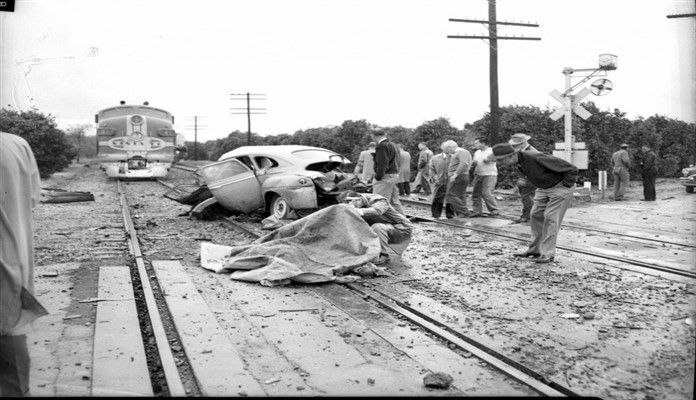 Until the 1960s, the situation on the country’s roadways was grim. Every year, the number of roadway deaths kept climbing as did the speed of the cars and trucks using the roads. At that time, things on the roadway system were improving. President Eisenhower and the Congress enacted the Interstate Road system. Termed the National Defense Road Act (or something similar), the Interstate system was meant to provide the military with a national gridwork of straight, intersecting highways so that forces could react quickly and bring forces to bear in the event of a military incursion. Fortunately, the defensive nature of the roadways has never been tested. Instead, the civilian side of the picture has been well-used. The Interstates, which usually carried speed limits in excess of local cities or state-marked routes, were straight, multi-lane gems for drivers. They encouraged motorists to put their vehicles to the test. Unfortunately, the cars in the late 1950s and early 1960s weren’t up to the task. Their equipment and construction didn’t encourage safe driving, even if the motorists were good drivers. For example, the drum brakes used then faded after one hard stop and the stops were often long. The suspensions were far more primitive than today’s. Indeed, keeping a vehicle straight through a curve was a chore as the vehicle and its huge amount of unspung weight fought every inch of the way. It was the situation across the industry. It also did very little to help prevent tragedies if there were crashes. Drivers often impacted the fixed,rigid steering columns, whle passengers often slammed into unhielding plate glass windows or metal dashboards and door trims. Frankly, the vehicles looked great but in every other standard, they were beasts. In 1965, the National Highway Traffic Safety Administration (NHTSA), a branch of the Department of Transportation, was created and it began to wrestle with the huge problem of driver and occupant protection. Between 1965 and 1971, NHTSA published a series of Federal Motor Vehicle Safety Standards (FMVSS) that dealt with all aspects of car or truck operation. There are hundreds of standards that took yeards to develop. By 1973, though, they were having impacts. For instance, vehicle bumpers had to meet certain standards for crashability without damage, while steering columns had to become breakaway. And there were standards for dash panels, door panels and other major systems including brakes, suspension, and wheels and tires, among others. Better systems meant saved lives and by 1973 highway deaths started their long dive reaching a low point of about 31,000 by 2015. The figure for the highway death rate, the number of deaths per 100 million miles driven, dipped to its lowest point at the same time. It was about 1.2 deaths per 100 million miles. In 2015 when the death toll and death rates spiked upward. No one has yet been able to put a finger on why they leaped up, reversing a decade’s long trend. While the NHTSA and DOT have sounded the alarm about the rising rates, it seems that very few are listening to them. Perhaps now that the National Safety Council has joined the chorus, people will finally take some notice. Granted the NSC and NHTSA figures are about 3,000 apart with the safety council’s figures higher. However, in the world of statistical data, the difference can be considered an outlier as the bulk of the figures agree. NSC’s numbers, in fact, include other causes besides roadway deaths. The safety group points out that 161,374 people died accidentally in 2016. Of that figure, 40,327 deaths involved an automobile. Another major contributor was the rising rate of opioid overdoses, which the NSC shows is behind the huge leap in preventable deaths. At 37,814 in 2016, the number of unintentional overdoses is still behind the number of auto-related deaths. Opiod-related deaths include those from opioid pain relievers, heroin and illicitly-made fentanyl. Between 2014 and 2016, the United States saw its roadway death told jump 14 percent. This is the greatest two-year hike in 53 years. Ken Kolosh, the NSC’s manager of statistics, pointed to an improving economy as responsible in part for the huge jump. Over the period, Kolosh indicated, more vehicle miles were traveled than during the recession of the prior decade. Indeed, the number of preventable deaths has been rising since 2009, the year the recession technically ended. Preventable deaths trailed only heart disease and cancer in the numbers of lives lost yearly. There’s another major category that has shown up in the latest safety council analysis. The NSC’s Kolosh termed them “vulnerable road users” – pedestrians and bicyclists. This suggests, he indicated, the need for better roadway design. Still, there is one sure way that roadway deaths can be cut down, states should roll back the many speed limit increases of the last decade or more. During tha time, some Western states raised the speed limit on their least-traffic-filled roads to more than 75 miles an hour. In some cases, the limits were better than 80 mph. And even eastern states have slipped their speed limits up to 70 mph or more, even in places that are in proximity to high-traffic cities. “Research has shown increased speed limits result in more deaths and they are higher than they were in years past,” Kolosh emphasized. They forgot to count in the accidents caused by cell phone use.